The pump adaptor allows connection of pumps with a 4-Pin Molex plug (same as e.g. 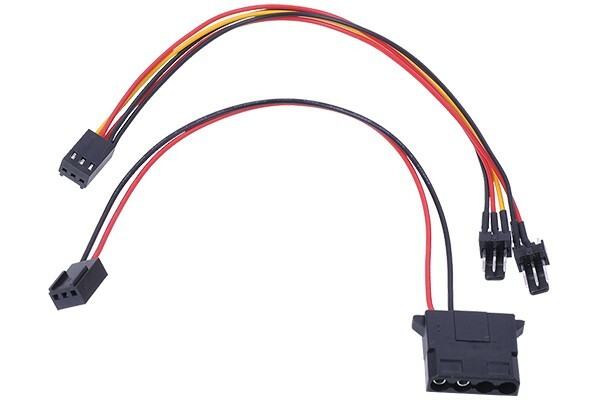 the DCD-ROM power connector) to controllers with a 3-Pin fan connector such as the Alphacool Heatmaster including the rpm signal. Also compatible with pumps without a rpm signal.